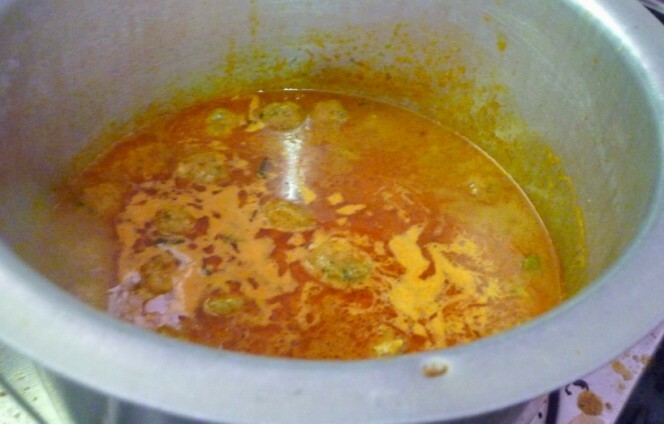 Kheema Kofta Curry was the other recipe that hubby dear’s Aunty was to demonstrate to us. She did a pretty good job doing that and I am sure this recipe will be made many times going forward. 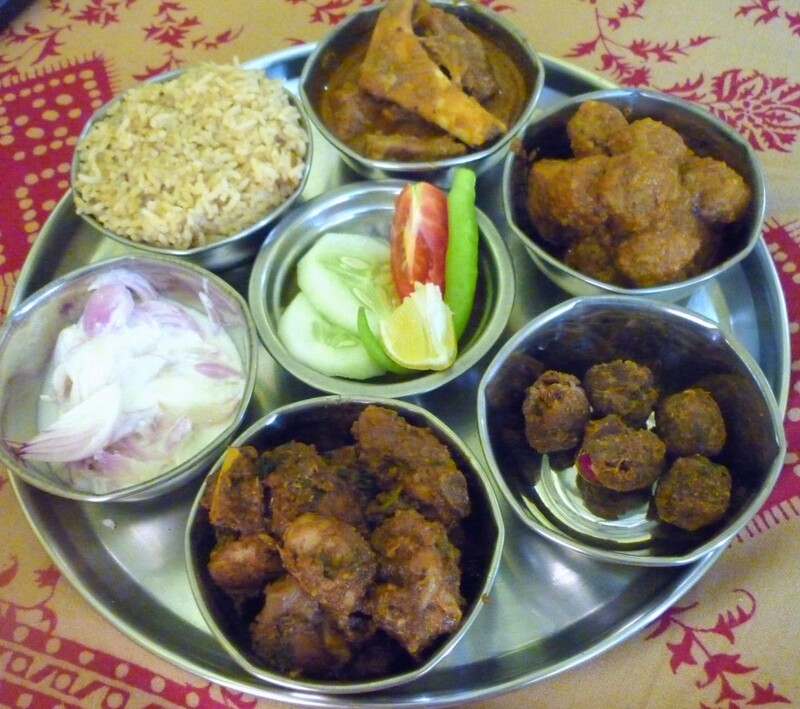 This recipe is really simple with very less ingredients than the other keema kofta I had already posted. 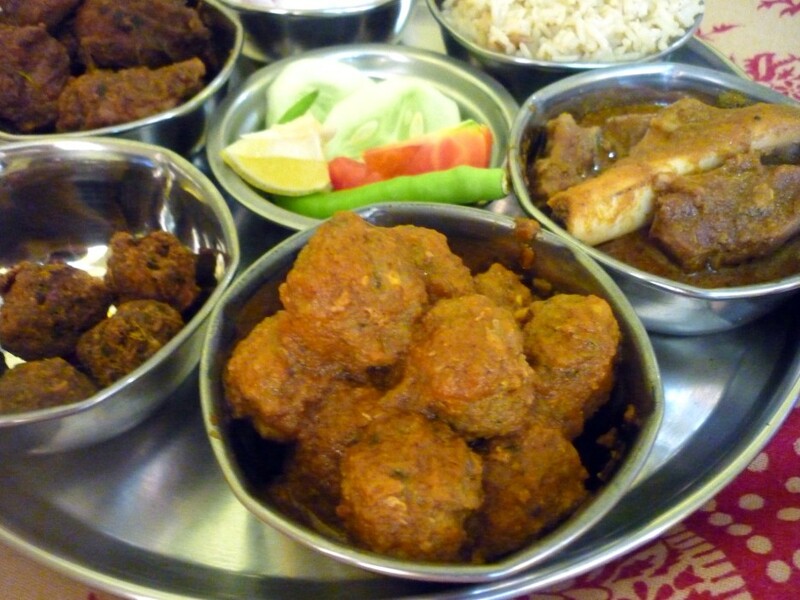 Still looking at my draft I really wonder when I will complete the entire thali that was made and yes I have just one more to go on the list which is a vegetarian one. Mid term tests are going on for Konda, someone asked me if I was studying. Well that’s tough question, I dread thinking of giving an exam, especially at this age. So I empathize and support, there is no other contribution from me than that. I am kind of down with cold and throat infection, so it’s kind of tough managing when you feel that you have two heads to carry. So there is not much of a story I can share. Make this at home and enjoy with your loved ones! Wash and drain the keema well. The keema should be really dry. In a mixer, take half of the coriander leaves, green chilies, ginger, garlic and grind to a smooth consistency without adding water. Then add chilli powder, salt, half the drained keema, top it with rest of the coriander leaves, coriander powder, remaining keema, cover and grind to a smooth paste. Remove and make balls of ping pong size. Divide the entire batch into equal size balls. As I showed in the Masala paste post, grind all the ingredients to a smooth consistency and use as per requirement. 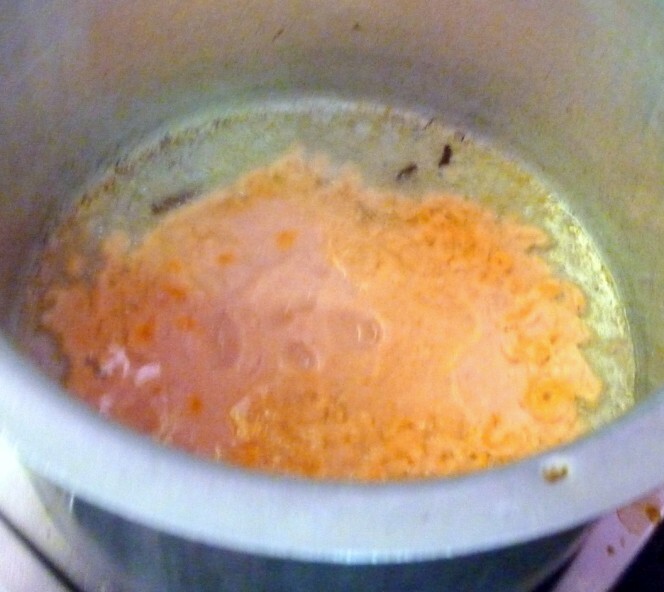 Puree the onions and tomatoes to a smooth liquid. In a wide pan, heat oil and then cloves, cinnamon. 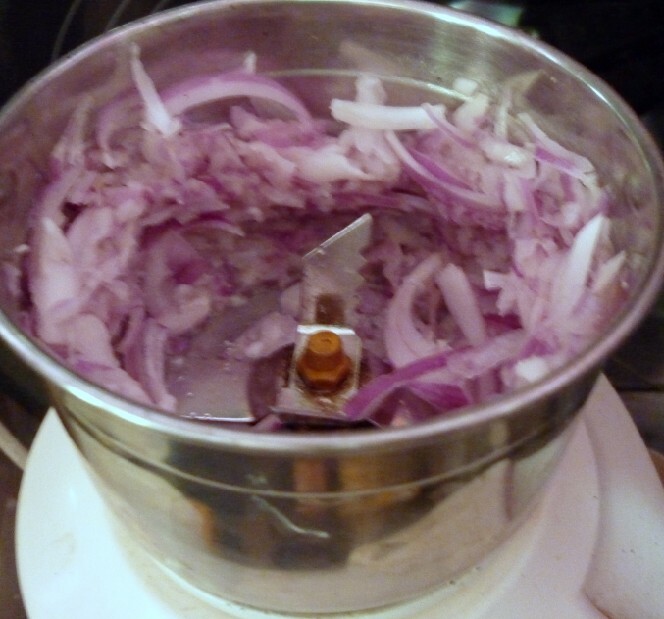 Then pour the onion tomato puree and fry well. 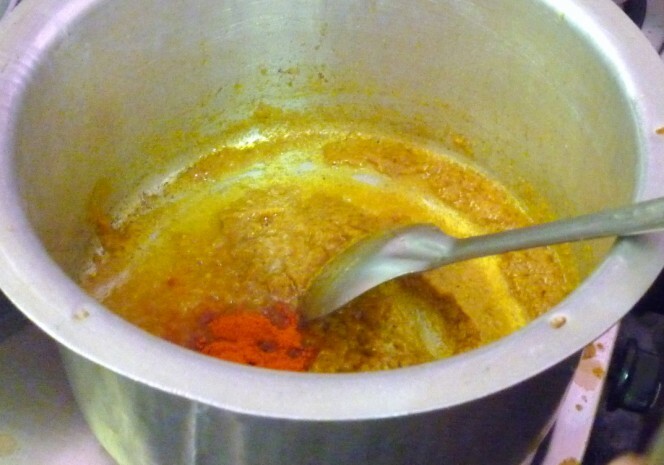 When oil starts to come out, add the masala paste. Fry well. Then add coriander powder, turmeric powder, saute. Then add chili powder, fry for 5 mins. 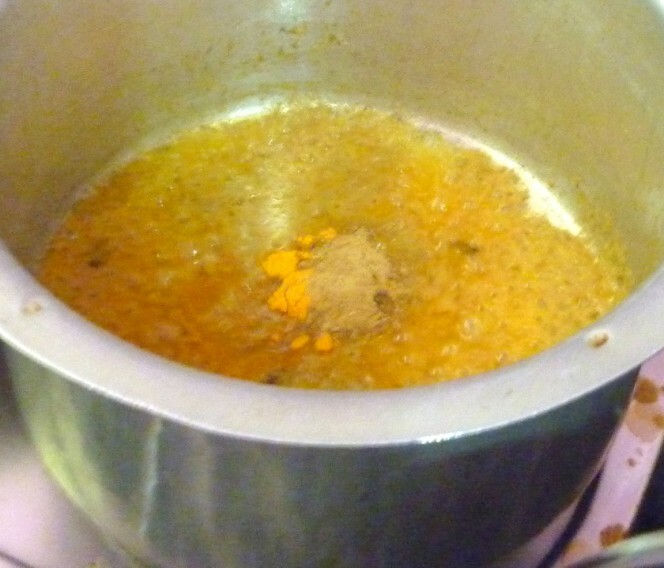 At this stage add the stock you get from the boiled keema balls that you intend to fry. 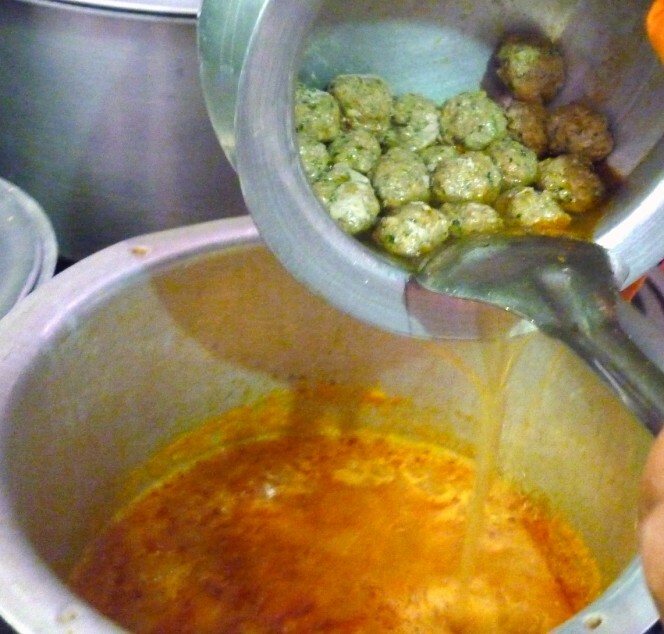 Simmer for the gravy to cook, when the gravy starts to roll, gently add the kacha keema balls and place them in the gravy. 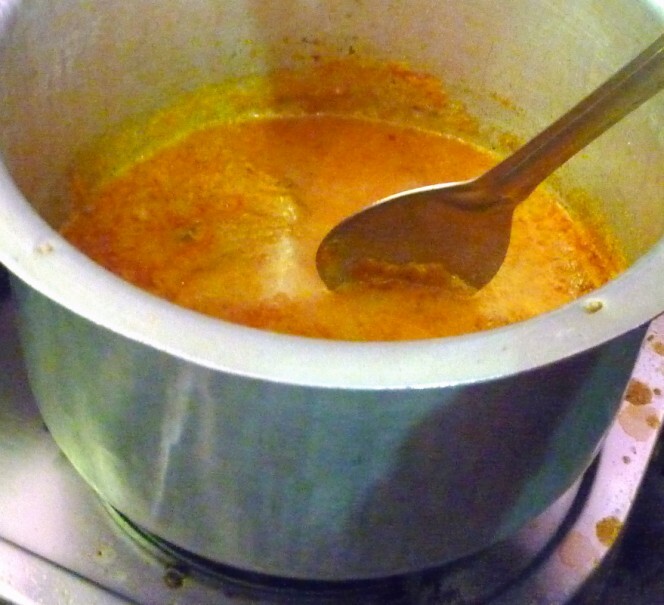 Remember you should not use any ladle, simmer and allow to boil. Using a cloth, rotate the pan to make sure all the balls turn around and get cooked on all sides. 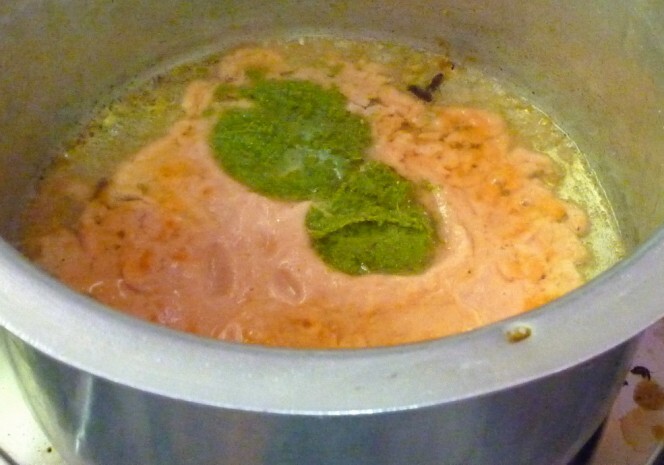 This takes about 10 – 15 mins for the gravy to thicken. 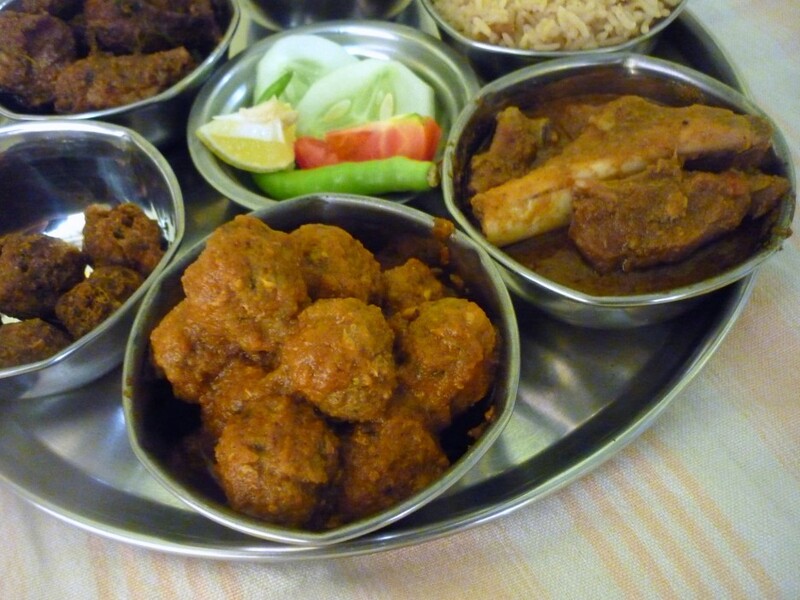 The gravy is mostly a well coated keema balls that you can serve with rice or roti. 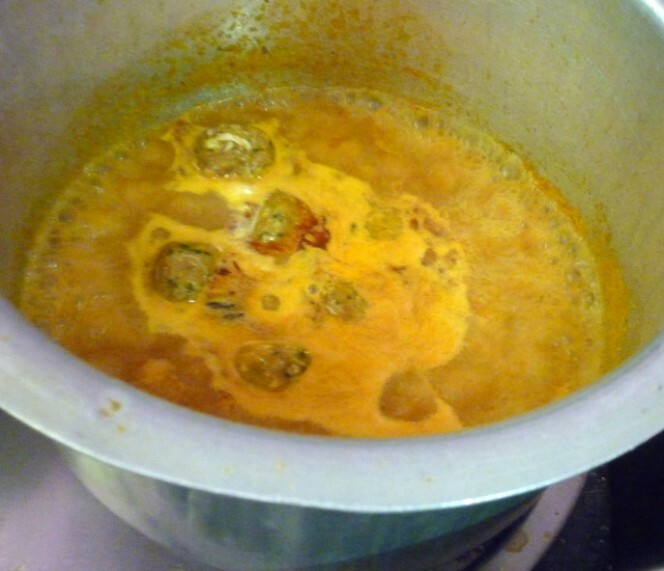 The keema balls used in the gravy are the raw ones, you will have to use the stock that you get from boiling the balls that you fry. 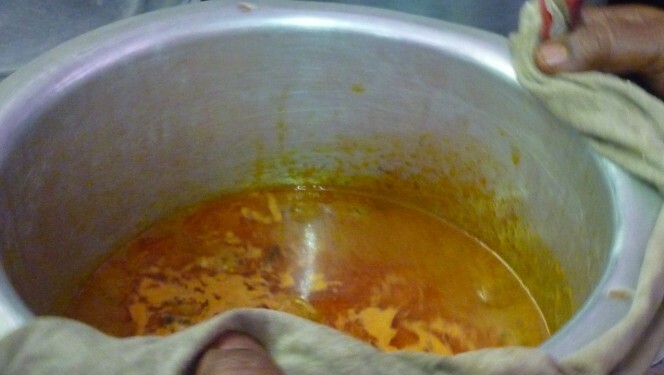 Use a wide pan for making the gravy as all the balls have to be placed at the bottom and you shouldn’t stir with ladle. 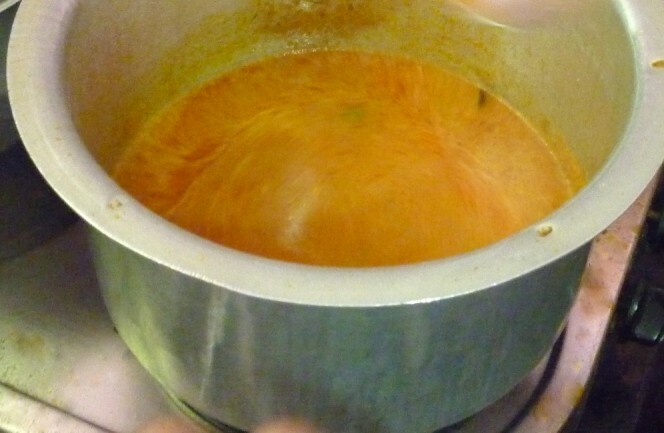 The pan is rotated in a circular fashion, to make sure the balls are cooked on all sides. Mouthwatering plate of food. Nice recipe. Loved ur step by step pic. Yum! 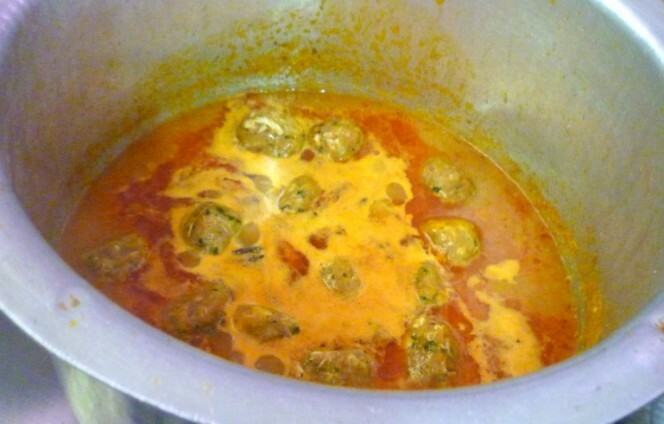 Mouthwatering and Delish Keema Kofta Curry.Awesome Step by step recipe Dear.Yummy!. This is a really scrumptious dish! Love the raw onion and lemon topping too.